The Libbey 15253 iced tea glass holds an impressive 22 ounces, resulting in fewer refills for your servers. The clear glass has fantastic clarity, allowing you to show off whatever sodas, teas, or juices you choose to serve. 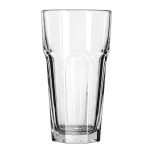 The glass is made in the Gibraltar pattern, with an octagonal base and vertical panels that end near the top, and a smoothly rounded top that makes drinking comfortable. 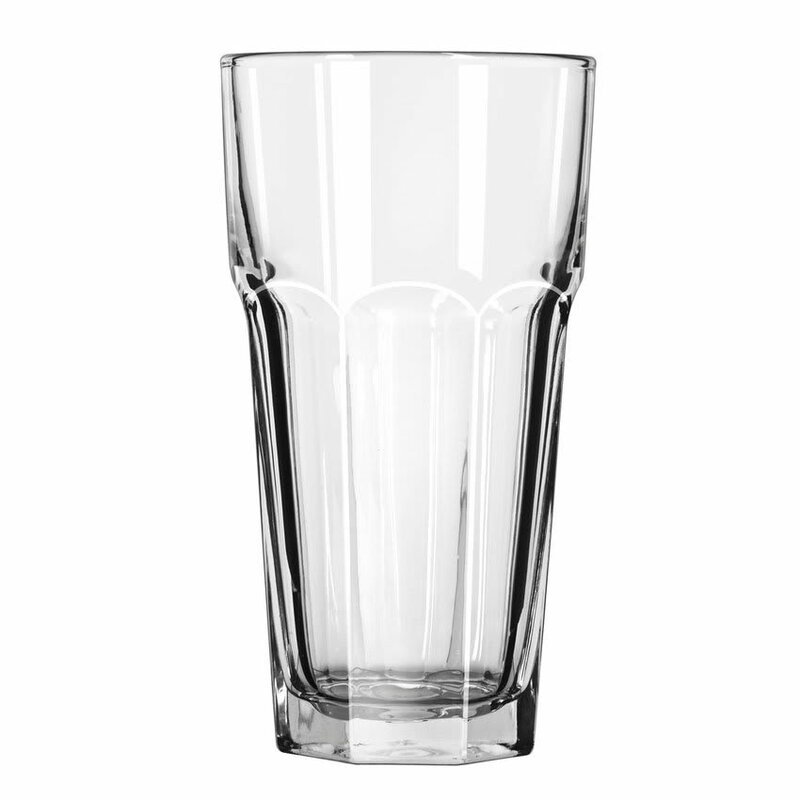 As part of the Gibraltar series, this glass receives the DuraTuff® treatment. This heat treatment enhances the durability of the glass, making it ideal for use in commercial settings. To make cleaning convenient, the glass is safe for use in commercial dishwashers. Overall Dimensions: 7 in. H x 33⁄4 in. top dia. x 23⁄4 in. bottom dia.